Santa Cruz, CA: I give Chasing Mavericks the movie - 5 stars. I went to see the movie, Chasing Mavericks, that was released on Friday, Oct. 26. 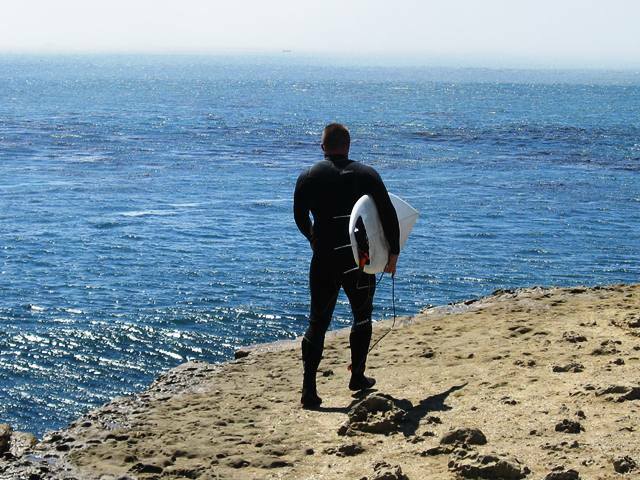 It is the story of a local surfer legend in Santa Cruz, Jay Moriaty. I really enjoyed it and would like to see it again on the big screen! I talked with people as I was walking out after the movie who shared my enthusiasm. This is rare for me to stop and talk to strangers about a movie as I leave. There is something about the movie which pulls at you. I was concerned after I watched this movie review by Don Sanchez (local ABC news - San Francisco) who gave it a "half a bucket of pop corn." Sanchez mentioned the waves were the stars and said the remaining movie didn't have much dialogue and was slow moving. I do agree about pictures of the huge waves were stars - the plus is that you become acquainted with a sample of people from this town which is so different from Silicon Valley, San Francisco, and Sacramento. I share many discoveries of this small beach town every chance I get. I escape the city-life and find places to relax and talk with the locals in Santa Cruz to learn about this "other life" that surrounds the world of surfing. 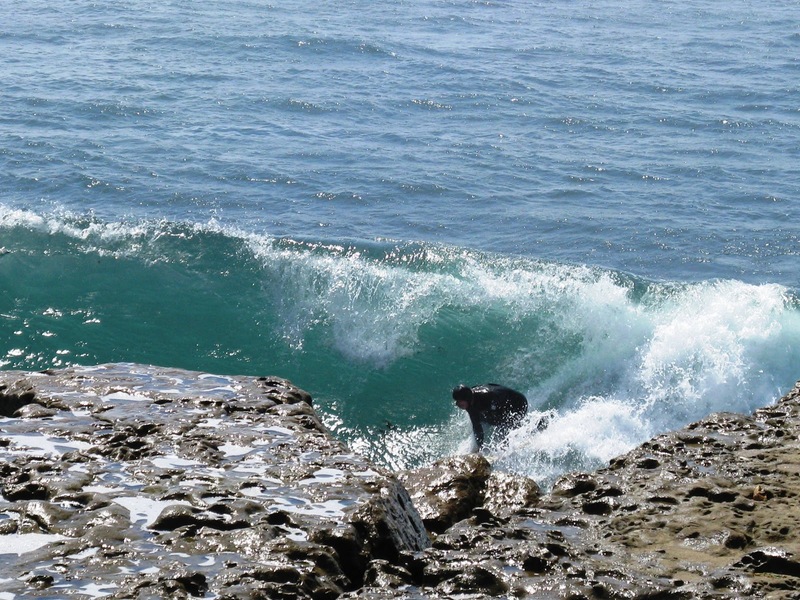 Everyone goes to work - there is always time to catch a few waves before going home. And, the movie features recent events so many people remember. This movie gives an in depth look at this simple, local community life in this favorite beach town which I am spellbound with each I visit. It is fresh look showcasing the genuine life of people in Santa Cruz. The story-telling of surfing life is one that has not been shown. The movie provides a lesson of how to stay focused, patient, and resilient when your are enroute to accomplishing what you want to achieve. Achievements are different for everyone. Moriaty had many chances to drop his goal to ride the big one (wave) - he stayed on his path and achieved what he wanted to do in a short amount of time without a huge expense. He found people who helped in their own ways along the path. Santa Cruz is well known globally - as the town grows during the summer months with visitors - yet I find an unusual ambience with each visit. If you want to visit the same sights as you see in the movie - you may find information from Santa Cruz website. [Ad] Buy the DVD now. 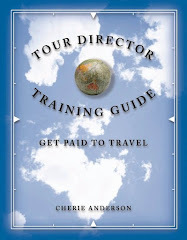 A working vacation? It is fun and everyone (regardless of age, gender, race) is able to participate. My advice is to keep it simple like I did and volunteer for a half day. California has a great state parks program to choose from. My radio alarm turned on at 6 a.m. My sleepy body said, "On no, this is Sunday, should I really get up and drive 60 miles so I may transition into a gardener and painter or roll over and fall back to sleep?" Adventure. Exercise. Learn. New friends. Fun. 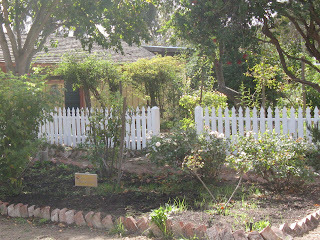 I read newsletters from California State Parks Foundation about activities and things to do. 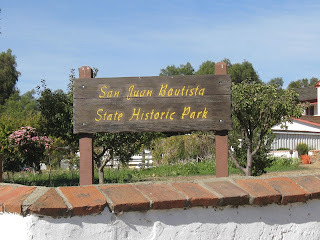 I follow the list of state parks in need of Park Champions and signed up to help with San Juan Bautista State Historical Park. Yes, this is an unusual, fun way to give back to the community. I admit when the day arrived, it was very difficult to climb out of my warm blankets on my bed and get ready. 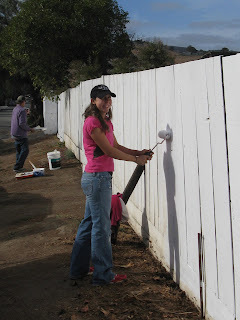 We worked together painting this fence! Even though I have spent time on my Grandfather's farm, I have never had a garden of my own and I have limited painting experience. Our State Park officials are eager to show you how – I found all you have to do is bring a hat, wear close toe shoes, have a re-usable water bottle, bring a favorite sun protection (sunglasses, sunscreen) – work gloves if you have them, and a smile. Our Park Officials provide tools, training, more water, lots of energy and their own wonderful smiles. Plus, they are so appreciative to have people to join them in care-taking of resources. 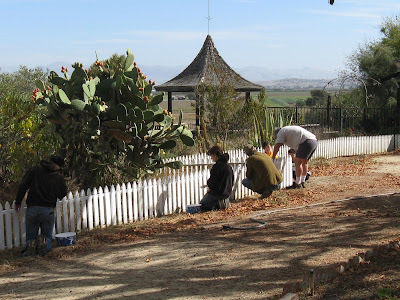 I found my way into this small group of strangers of all ages in the early morning with one common pledge – to help clean up this fabulous State Historical Park I have shared with you in other stories. Although we had our smart phones to post pictures and share – we escaped sitting behind the computer finding so many surprises during the day. I remembered two things as I worked. One is from the movie, Karate Kid, about building patience and strength through everyday work. The other as the history enthusiast, I remember all of the different Work Progress Administration projects completed during President Roosevelt’s New Deal programs. Why not hire people to work on projects like these? This begins rebuilding our country's infrastructure while providing paid jobs to people - the same people who buy things. 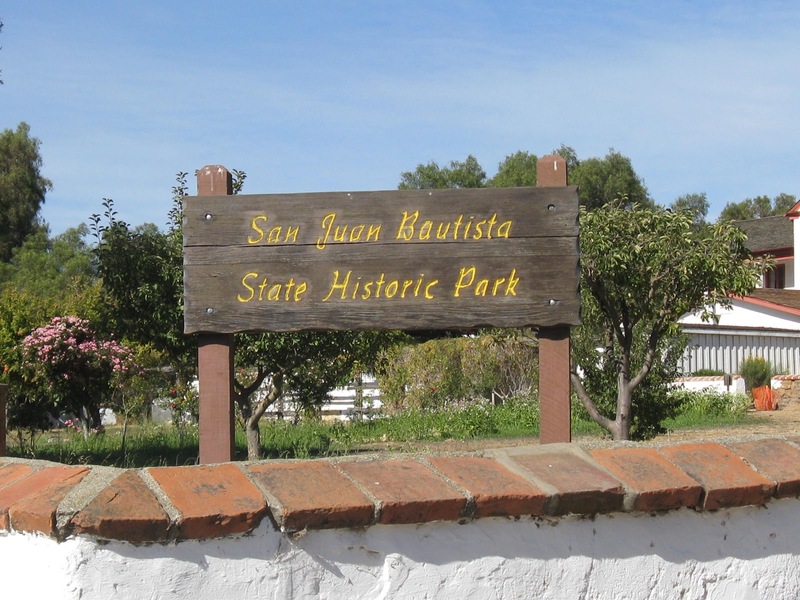 I am grateful I got out of bed yesterday and volunteered as a Park Champion and helped take care of one of my favorite places I go – San Juan Bautista State Historical Park. I have gained new skills of gardening, white-washing a fence, and met a fabulous group of people at the same time. Fun! Of course, I slept well through the night afterwards! Do you want to be a part of a fun volunteer group work day? Contact us. Let us know below comments of your favorite volunteer work! Today's travel tip: Don't delay your plans. You never know what may happen in the future. If you want to go somewhere special - make your plans and go. 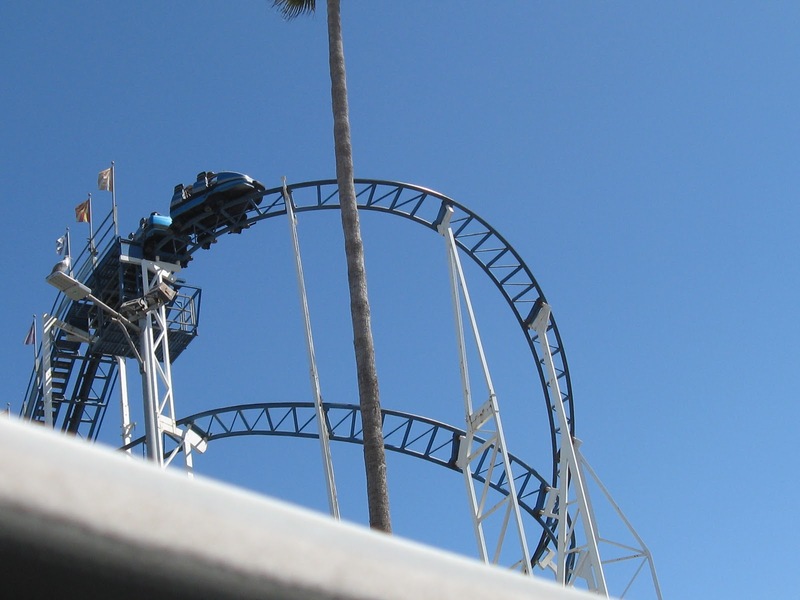 These are some fun pictures of the Beach Boardwalk, Santa Cruz, CA. I am lucky to be 30 minutes away and I take off and head "over the hill" every chance I get. 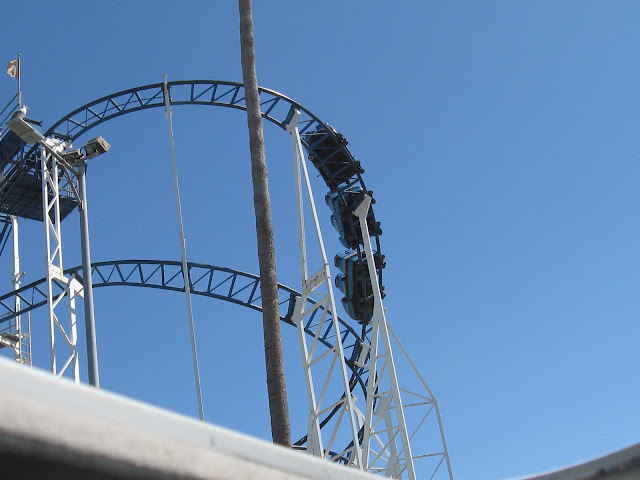 What happens in the split second you reach the top of Roller Coaster? Please share your story with me - I enjoy reading your comments!